The Best Indoor Cat Playhouse DIY project to pamper the feline queen or king that rules the household. 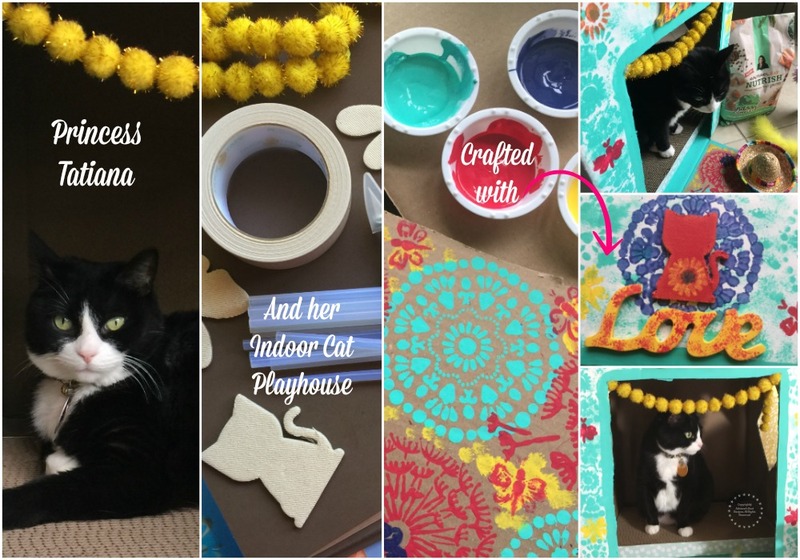 This is an easy do it yourself crafting project created with love and and lots of color. 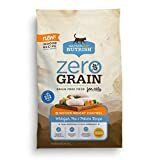 For us who consider our pets as part of the family, healthy nutrition is also a fundamental part of the welfare of our beloved cats. That’s why we love Rachael Ray™ Nutrish® Indoor Complete Chicken with Lentils & Salmon Recipe. Available nationwide in supermarkets and online. Save on your purchase click on the image now. 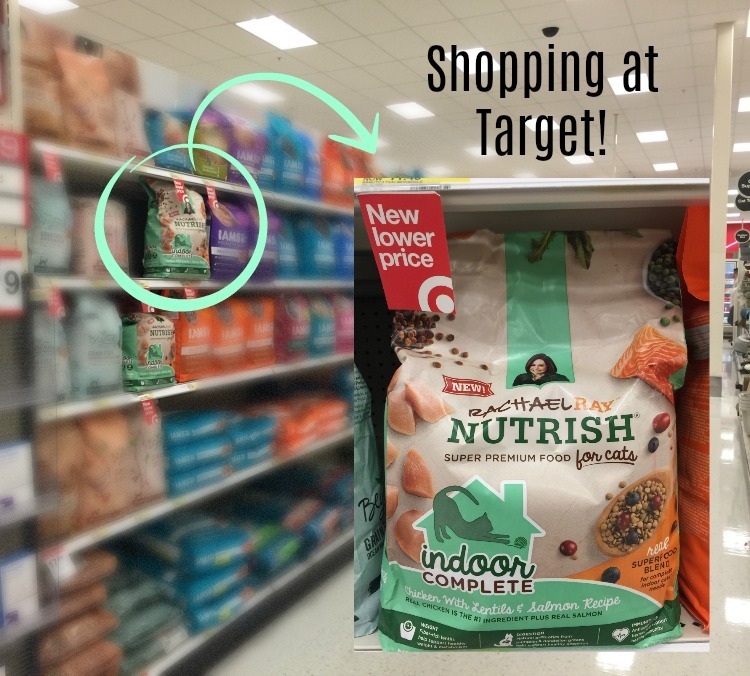 Save $2 on Nutrish Indoor Complete. The coupon is good through the end of the year. You have 30 days from the time you print to redeem it. You can print 2x. 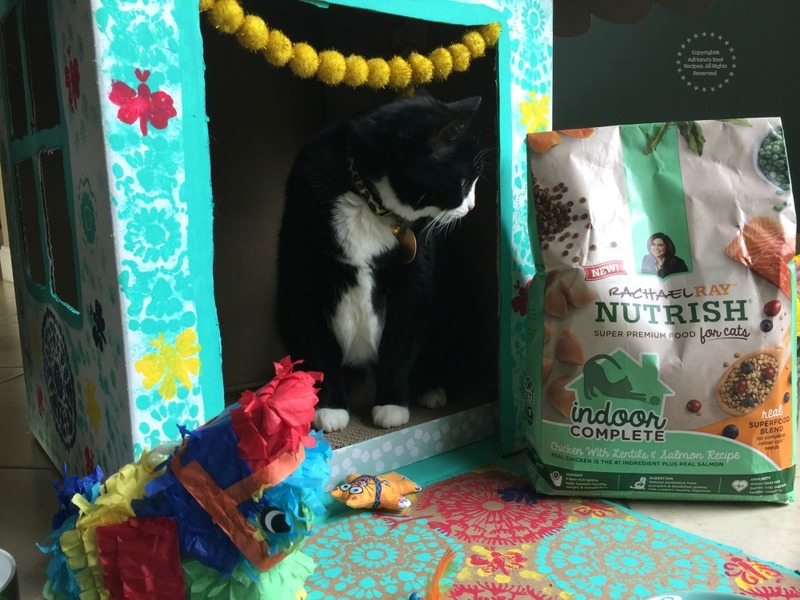 Nutrish Indoor Complete is formulated with a real superfood blend to complete the nutritional needs of our indoor adult cats. The ingredients in this product include real U.S. farm-raised chicken as the number one ingredient, plus real salmon and lentils. 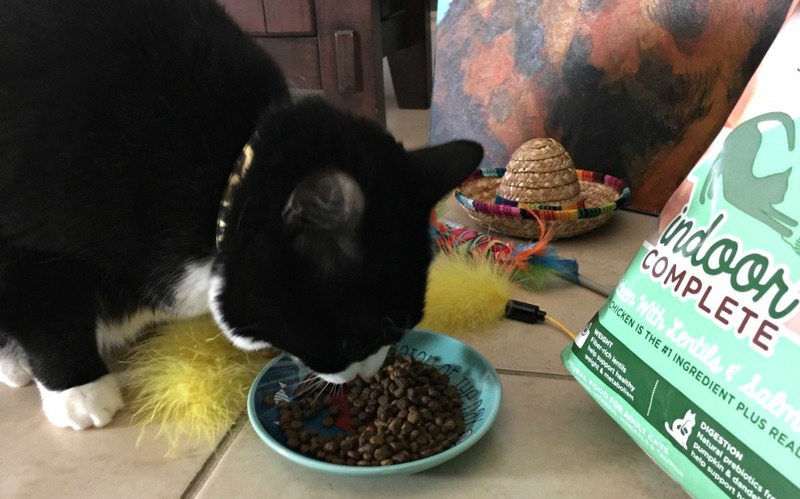 Nutrish Indoor Complete is the perfect food to address good indoor adult cat digestion, weight concerns and immunity. It is fiber rich, has minerals and taurine for a complete and balanced diet and best of all my cats love it! 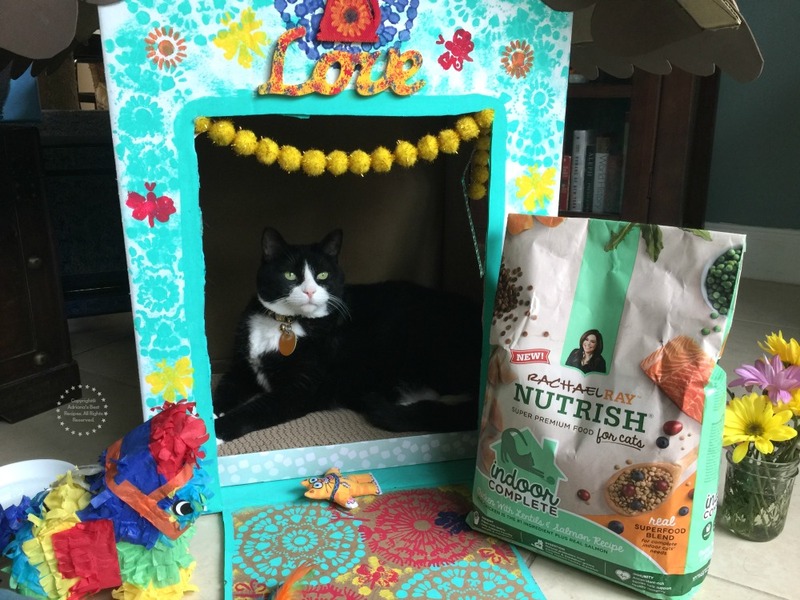 Inspired by Nutrish Indoor Complete, I decided to build an indoor cat playhouse DIY using bright colors, butterflies and insect motifs that my cats love. My felines like to lounge in front of the window and often enjoy the garden. Where they sunbath and chase insects and lizards. Adult cats who live indoors, aside from needing a balanced diet they also require stimulation to avoid boredom and mischief. Having suitable toys, scratching posts and their own furniture helps them to be relaxed and stimulate their natural instincts. My cats are fans of cardboard boxes. 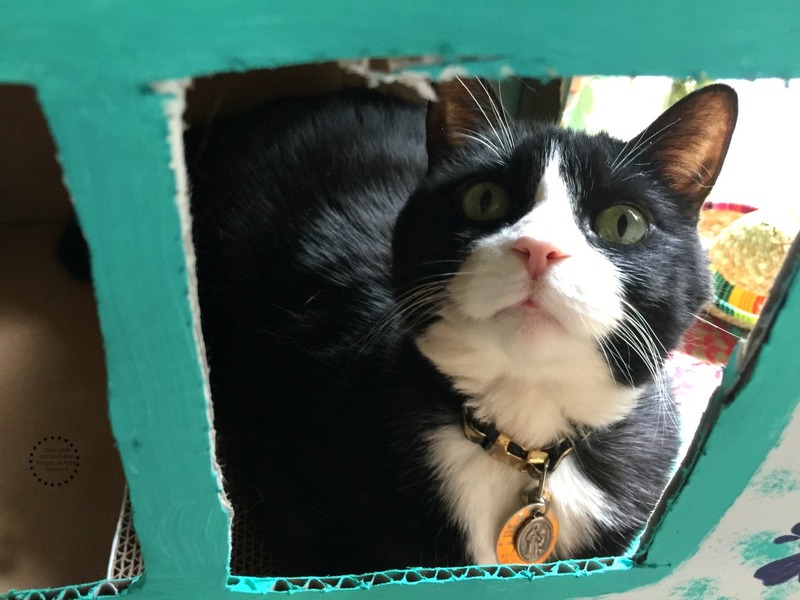 Whenever a boxed package arrives they love playing with the cardboard box, so it occurred to me to craft this indoor cat playhouse using cardboard boxes. 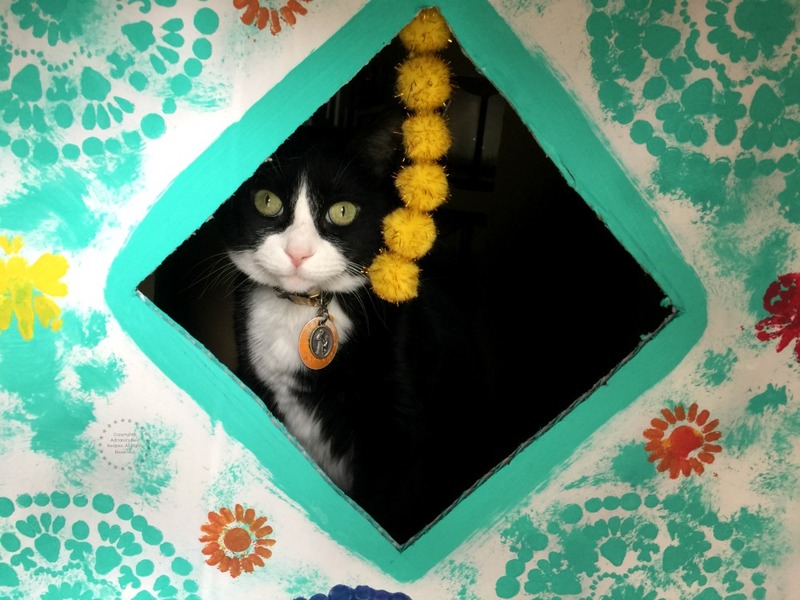 If you like crafts, I invite you to make your own indoor cat playhouse. It is a fun activity and the result is a cute playhouse that your felines will enjoy for endless hours. Watch the video for the complete scoop. At home we have four adult cats, all rescued. It’s sad to see so many abandoned cats. That’s why I’m glad that Rachael Ray created an organization called Rachael’s Rescue® which is dedicated to helping all those forgotten pets, those who have no love and a responsible owner to take care of them. This is how it works. 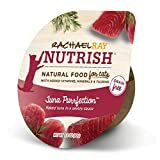 When you buy Nutrish products a portion of the sale is donated to organizations and charities dedicated to helping animals through The Rachael Ray Foundation. The proceeds are used for medical treatments and supplies to help animals in need. 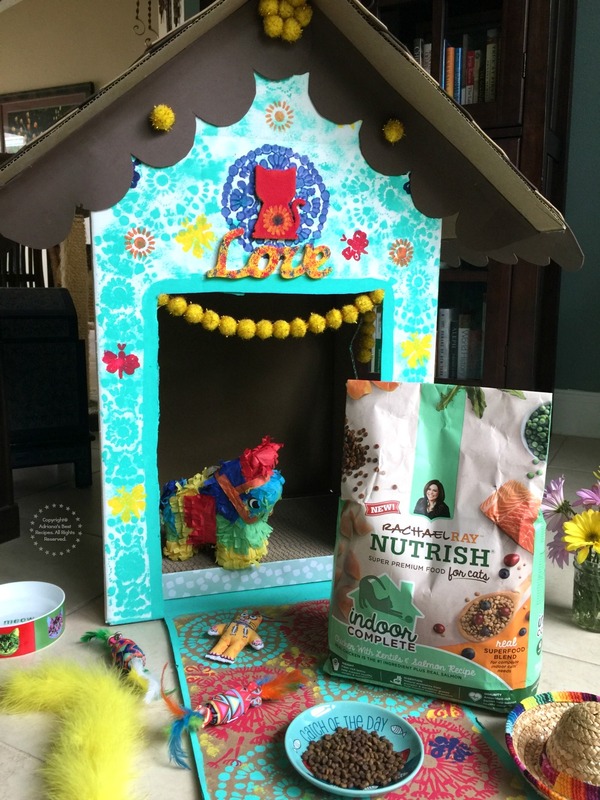 Join the conversation with Nutrish Indoor Complete on Facebook, Twitter, Instagram or Pinterest. And tell us about your feline stories and cat antics! That cat playhouse is such a cute and creative idea! This looks like a great brand of cat food. I don’t have pets, but I will share this with friends and family. What a fun idea for a pet cat. Except that my kiddos would try to take over the playhouse too lol! We enjoyed this project and all the painting involved. Tatiana is in heaven with it and she loves her new food too. Thanks for having me. This is really great idea to keep indoor games for cats. I liked that cat house. I am not a cat lover but will recommend it to some of my friends. This playhouse could serve as an idea to make one for a dog or a doll house for the kids. Thanks! That is quite the playhouse! Such a fun idea and so cute. I bet any cat would love it! I love this DIY cat playhouse. So cute, so fun. Your kitty is adorable and clearly enjoying the new duds. That’s the cutest playhouse I’ve seen. I don’t have cats but I like how cute and creative this DIY idea is. Looks like your cat loves it. Oh my! Did you steal my cat for this photo shoot? LOL Our cat loves boxes and would enjoy this playhouse for sure! This is such a fun and cute idea! Our cats would love this. Many thanks I really had a good time building this playhouse. HAHA! This is cute! I would wanna play in it, if I could fit! what a very creative for cat lovers! got to try this one. i have a nephew who loves cats. i’m sure he will be thrilled when i make one for his cats.. Many thanks Kelly it is a very easy project and the kids can get involved too. We enjoyed working on this. I’ve read that cats are supposed to be provided with toys that they can play so that they’re more active throughout the day instead of sleeping all the time. This playhouse sounds awesome! The product is sounds great, good and healthy. The cat playhouse is very creative. It is so amazing! That is an awesome playhouse. My luck, I would build that for my cats only to find out that neither of them would give it the time of day! Guess it would still be fun to put it together, lol. Princess Tatiana looks very happy and pampered. That house is very cute. I love seeing companies give back to rescues. What a fun idea, and creative playhouse for the kitty. I’ve a feeling that our new pup would also enjoy gnawing the project too much for it to work here. He found one of the cat beds last night and turned it into a dog toy, BOL! Such a festive looking cat house! Mr. N loves playing in and around boxes too. We joke he’s part cat. I’m a feline. I SHOULD be pampered. I want one. One of those playhouses, I mean. Oh Pee-pers….. Come see this. MOUSES! That cat playhouse looks amazing! Great DIY. You’re so right too. 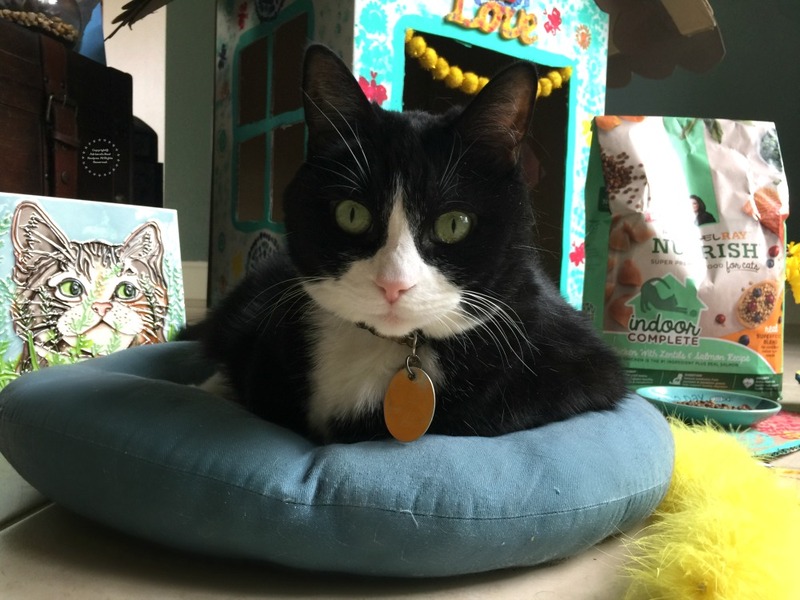 Indoor cats need simulation and good nutrition to lead happy, healthy lives! That’s adorable! my cats would love something like this and I certainly have enough boxes around the house from my Chewy orders. What a cute little house! You are super crafty and they seem to love it! This DIY playhouse is awesome! You really did a fantastic job!! I love DIY and artsy things so I’m pinning! Nice to see a different option for healthy dry food too. I forgot Rachel Ray has her own line of pet food. Thanks for sharing.